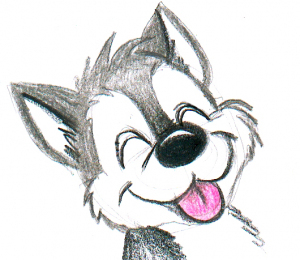 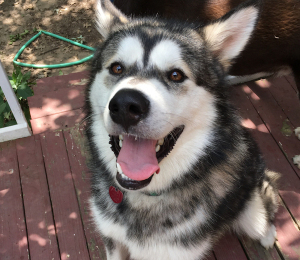 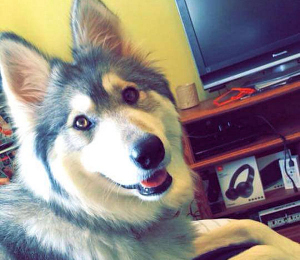 Balto loves to sing and woo woo woo. 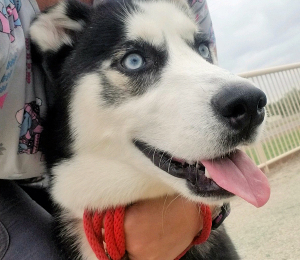 She is a gentle soul who wants to be pampered. 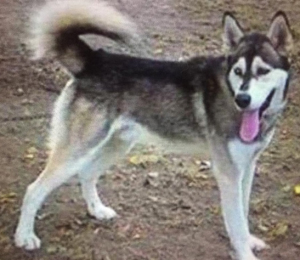 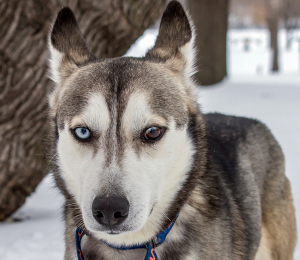 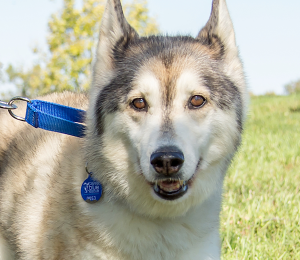 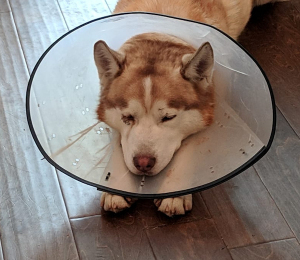 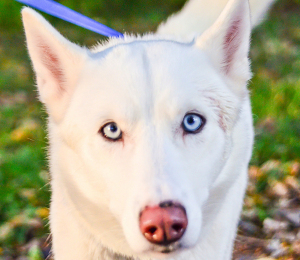 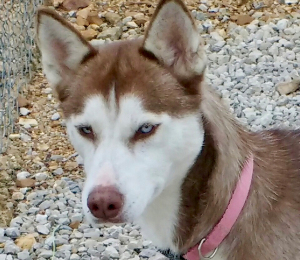 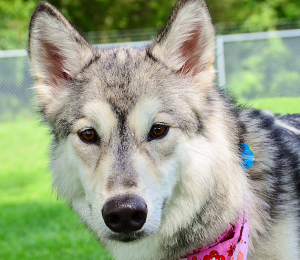 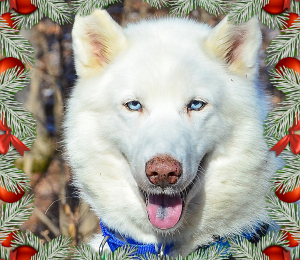 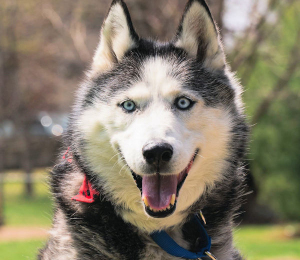 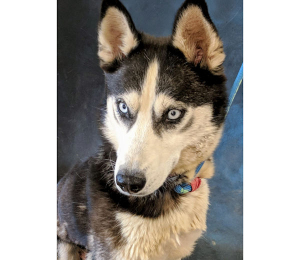 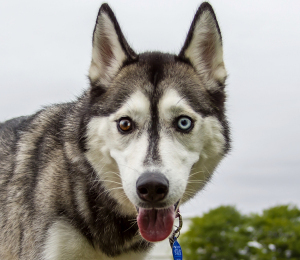 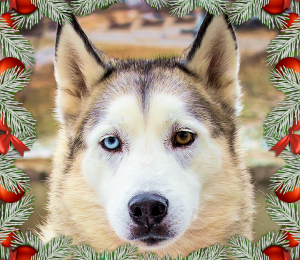 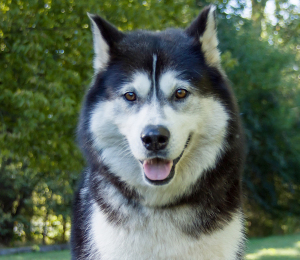 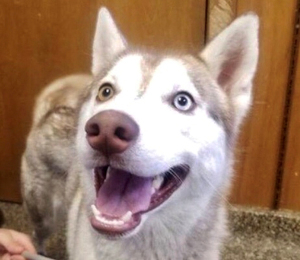 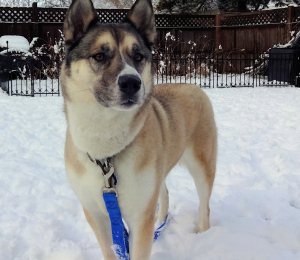 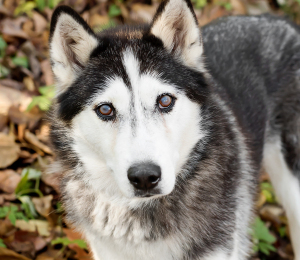 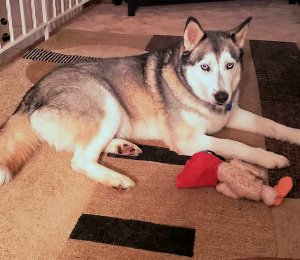 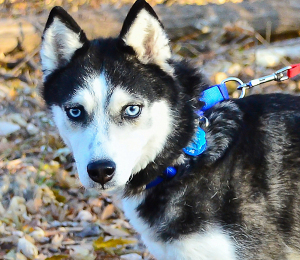 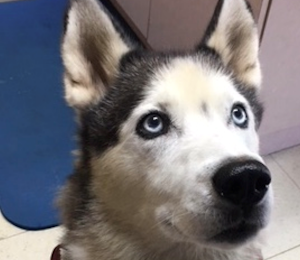 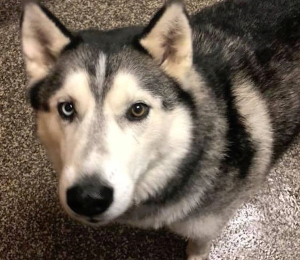 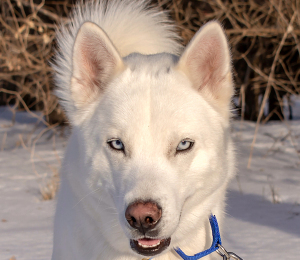 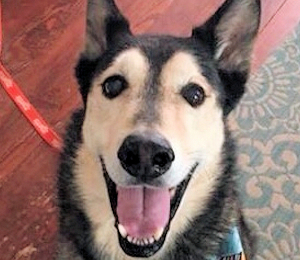 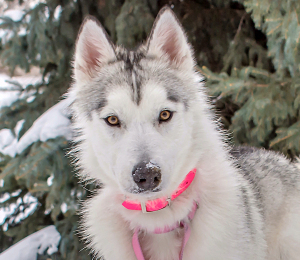 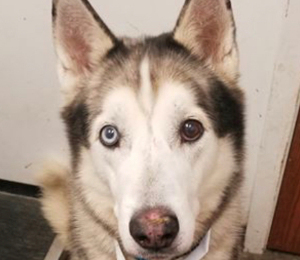 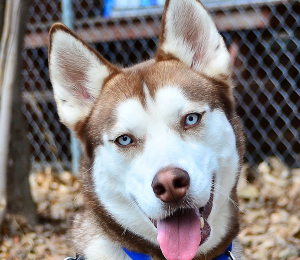 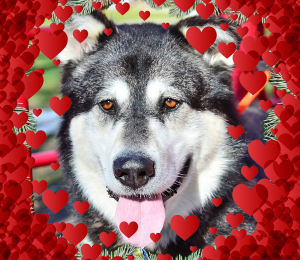 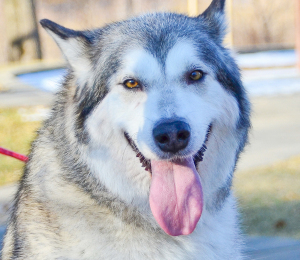 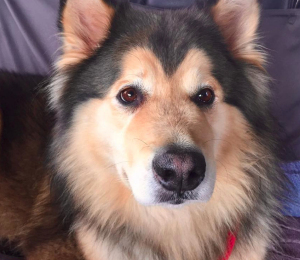 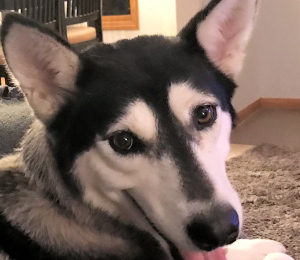 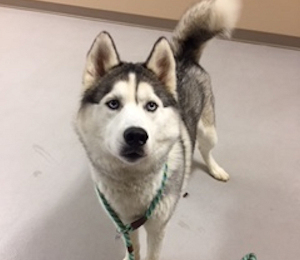 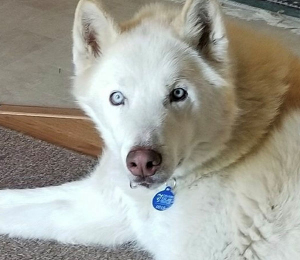 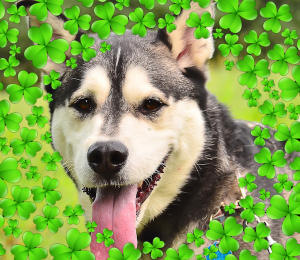 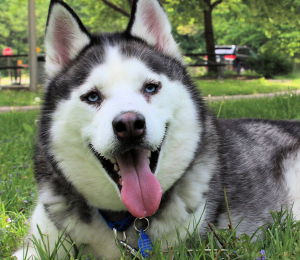 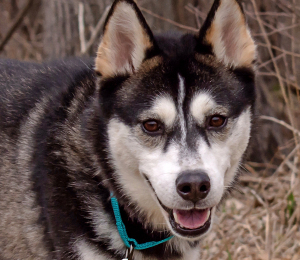 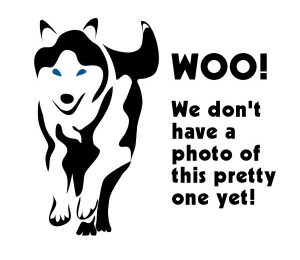 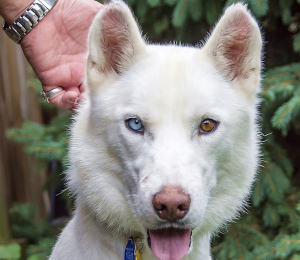 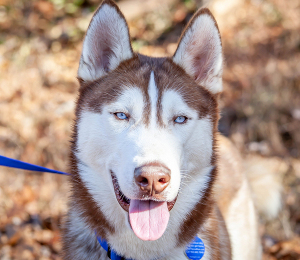 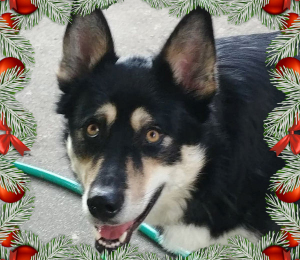 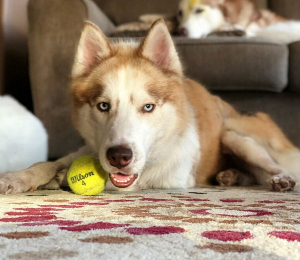 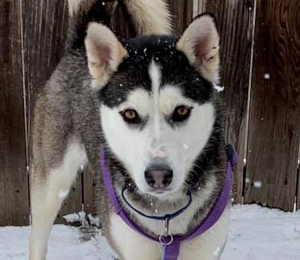 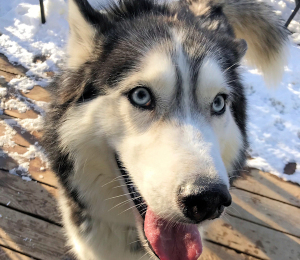 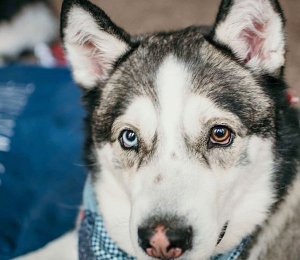 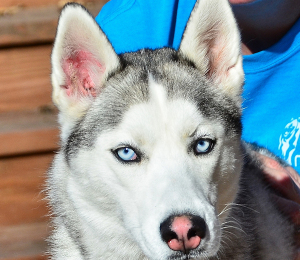 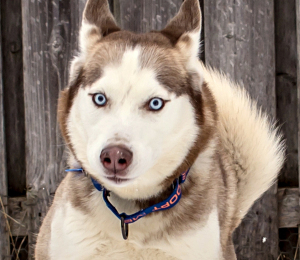 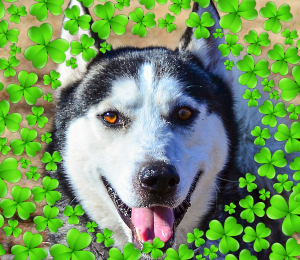 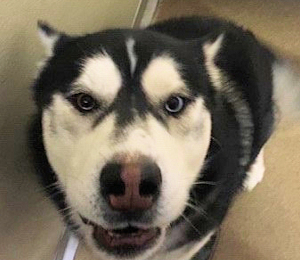 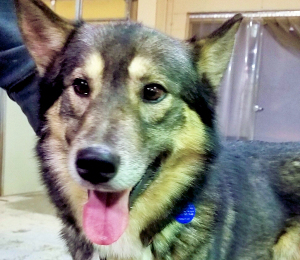 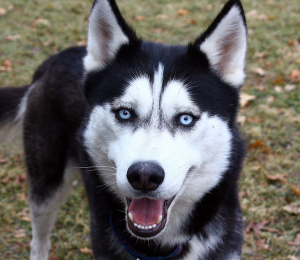 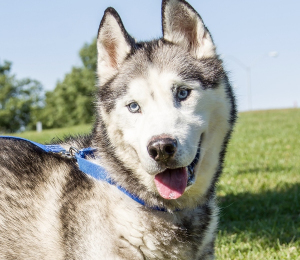 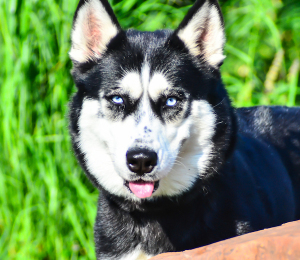 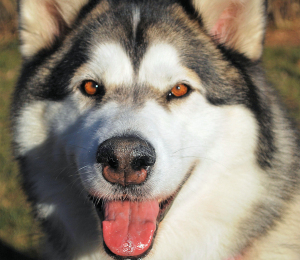 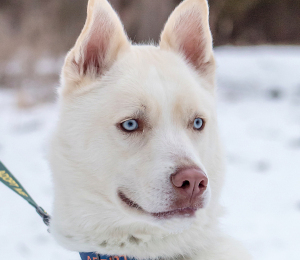 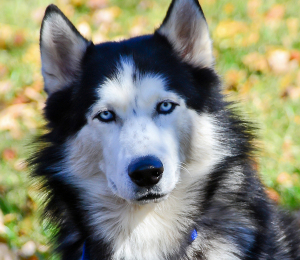 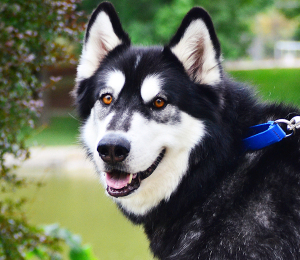 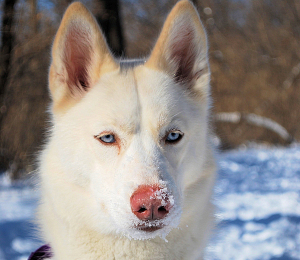 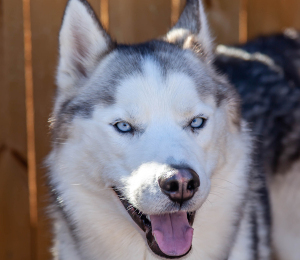 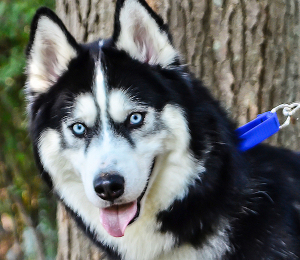 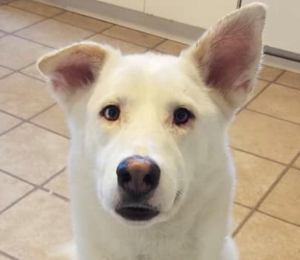 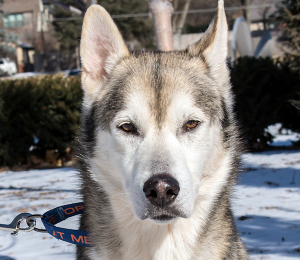 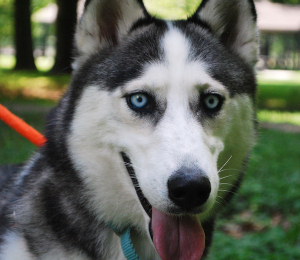 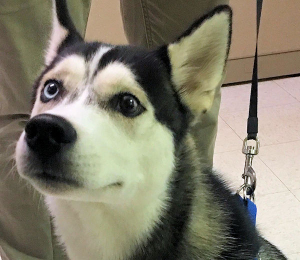 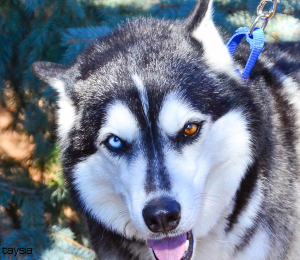 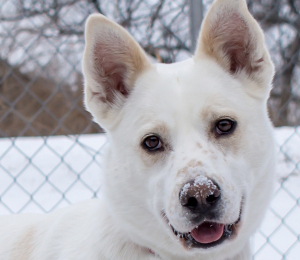 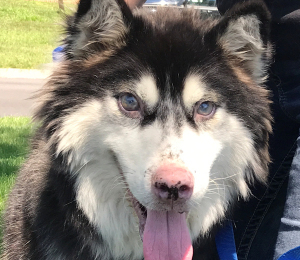 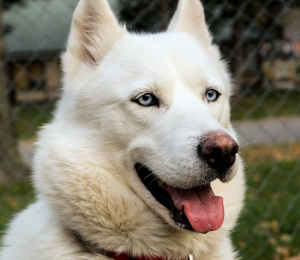 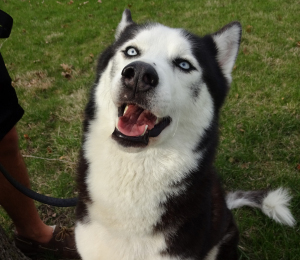 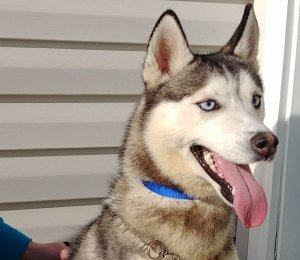 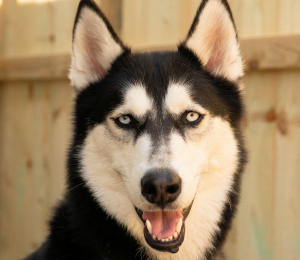 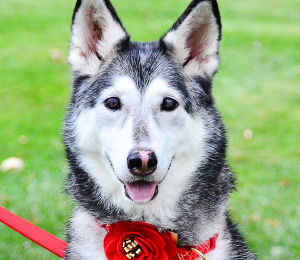 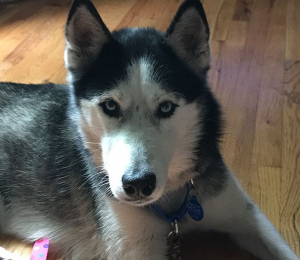 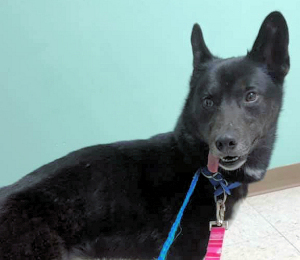 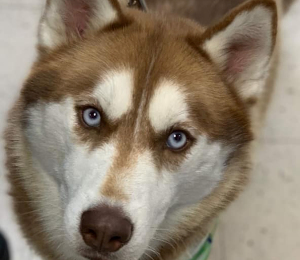 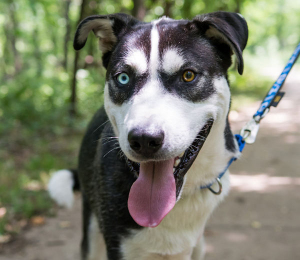 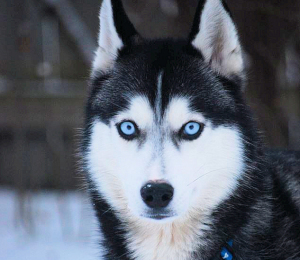 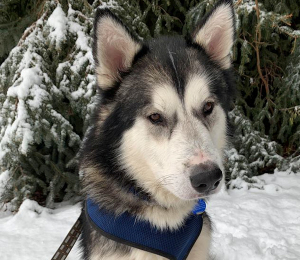 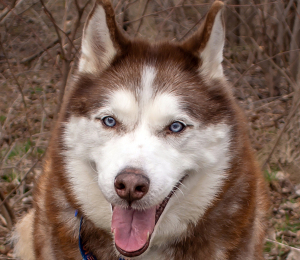 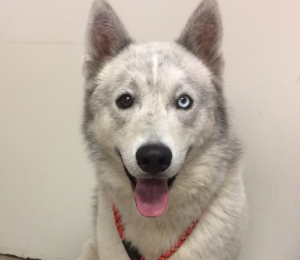 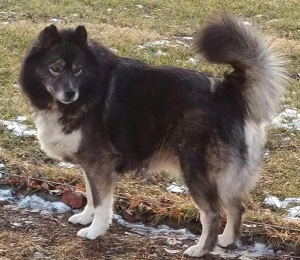 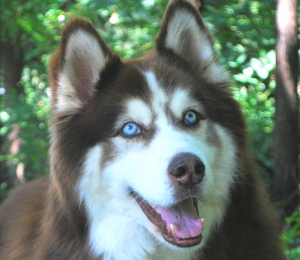 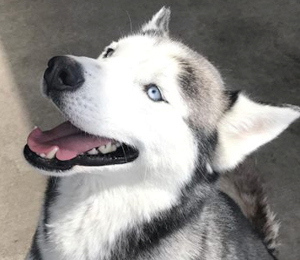 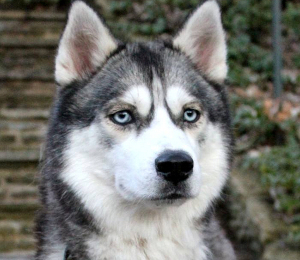 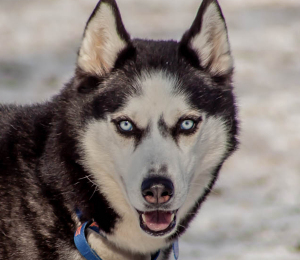 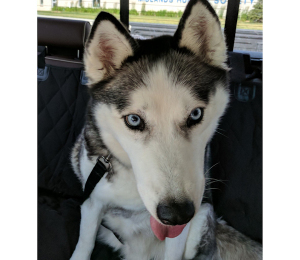 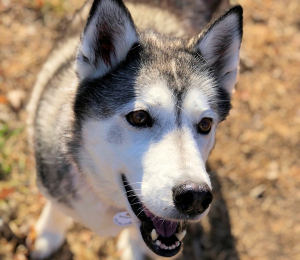 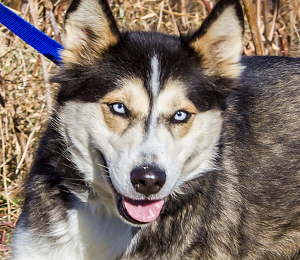 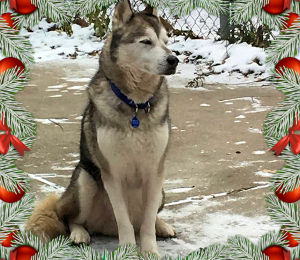 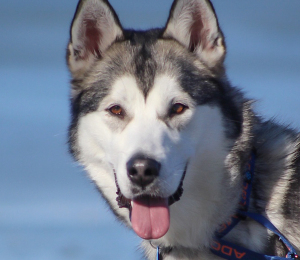 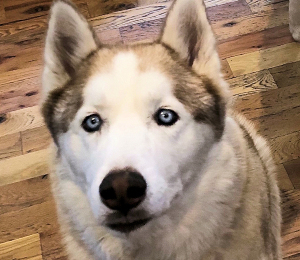 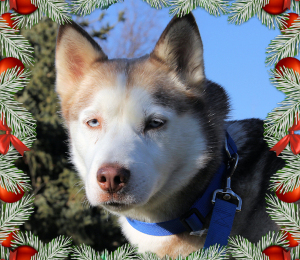 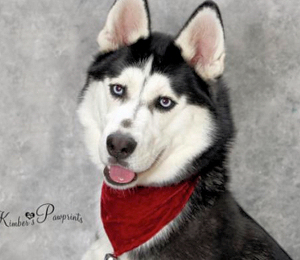 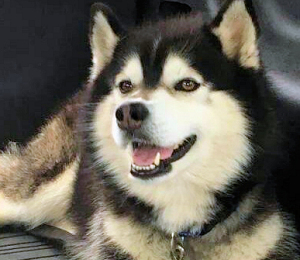 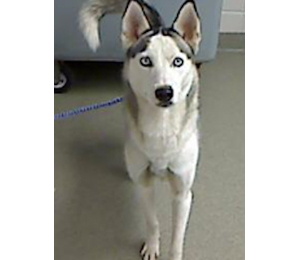 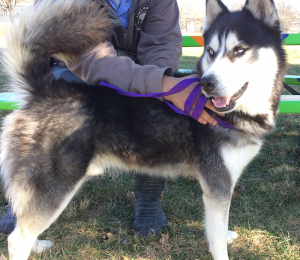 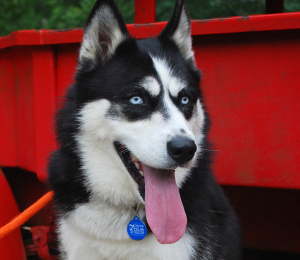 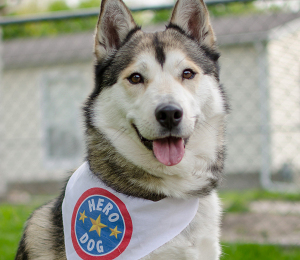 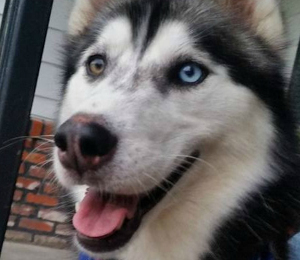 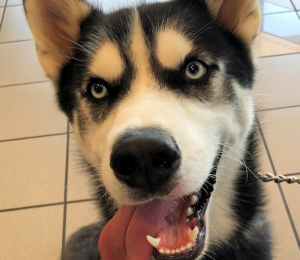 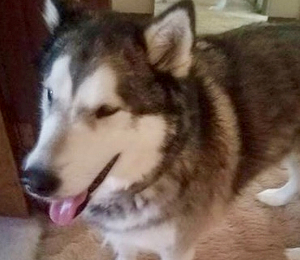 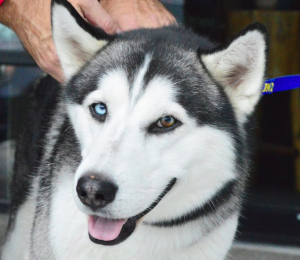 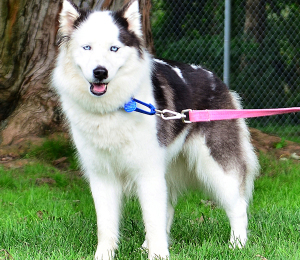 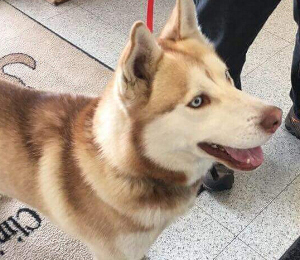 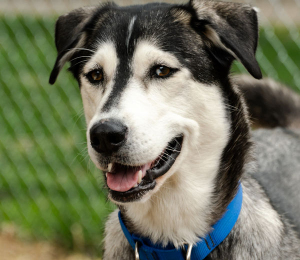 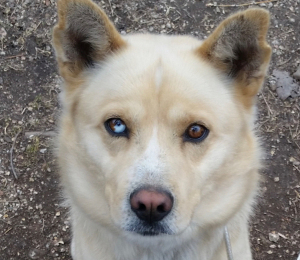 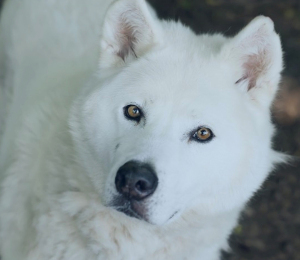 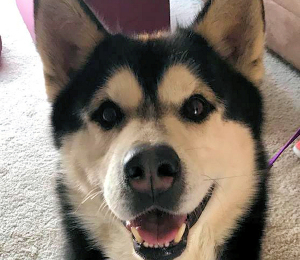 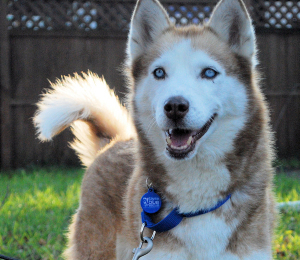 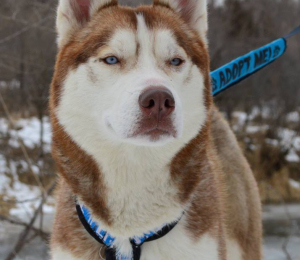 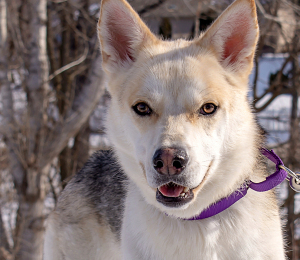 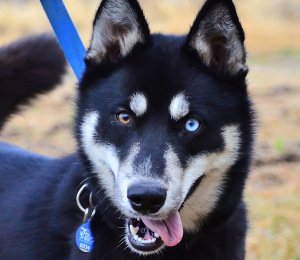 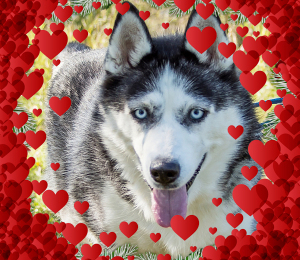 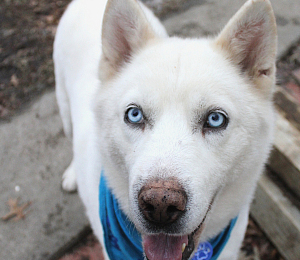 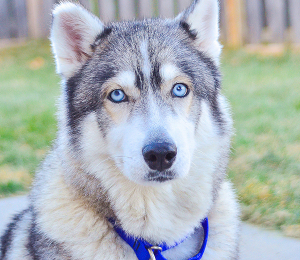 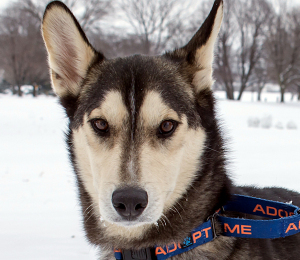 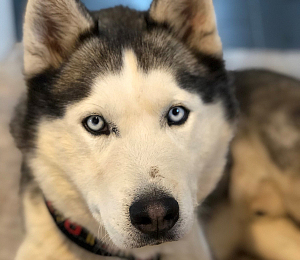 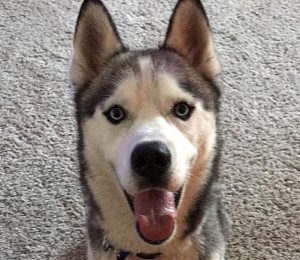 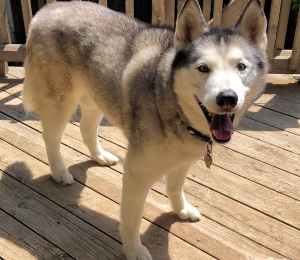 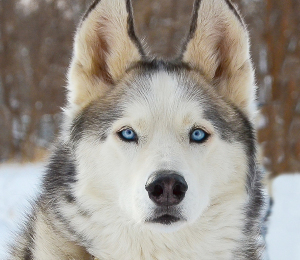 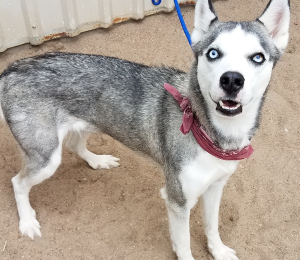 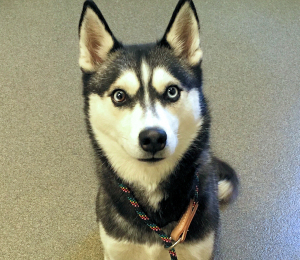 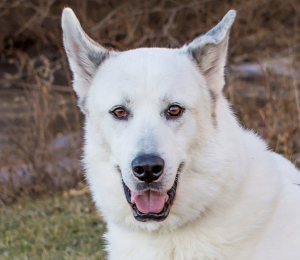 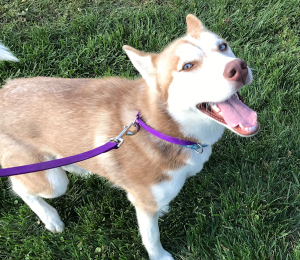 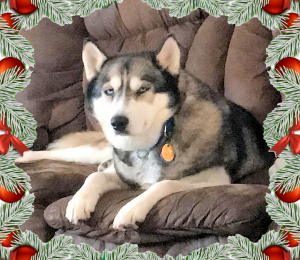 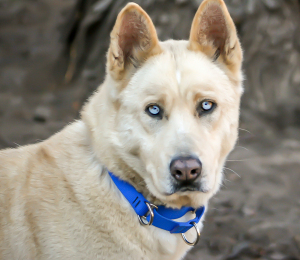 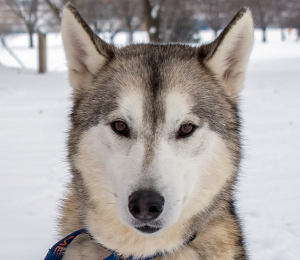 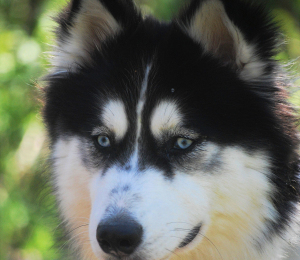 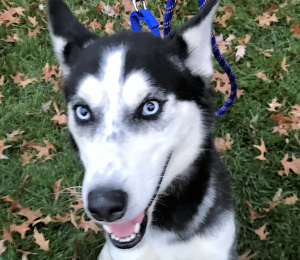 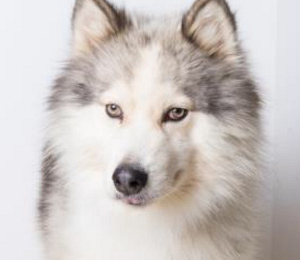 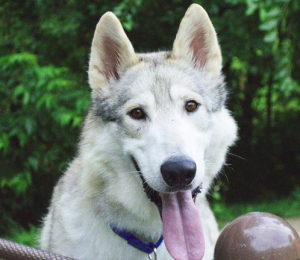 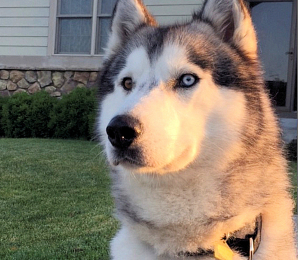 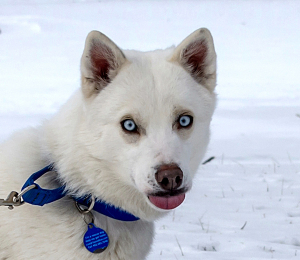 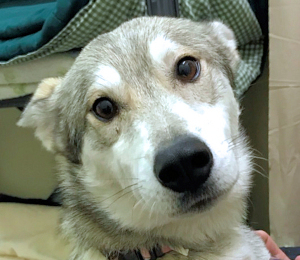 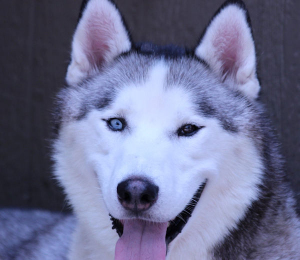 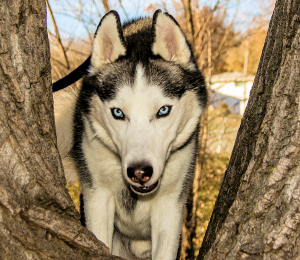 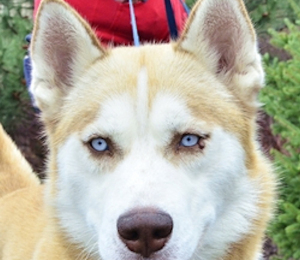 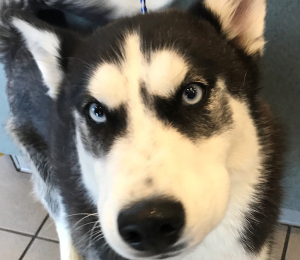 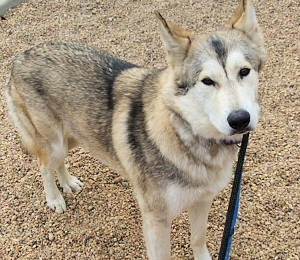 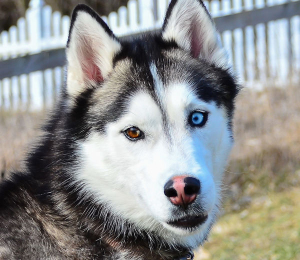 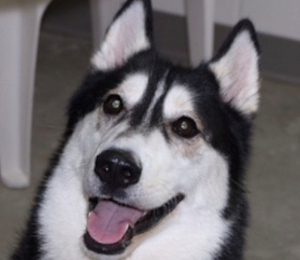 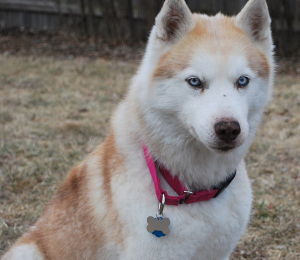 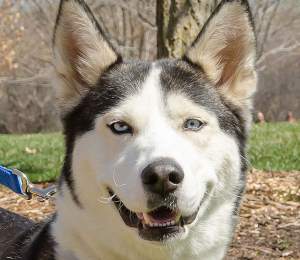 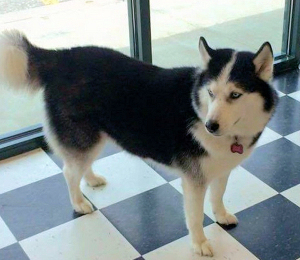 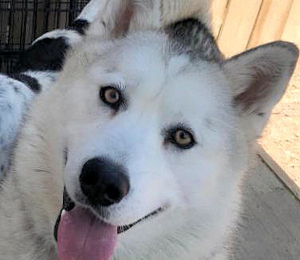 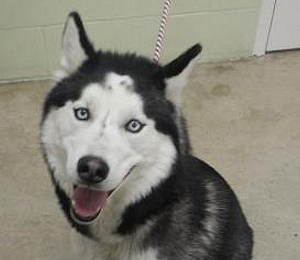 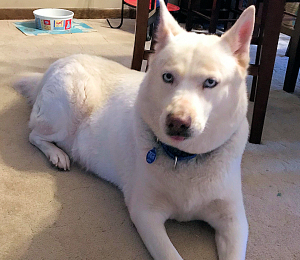 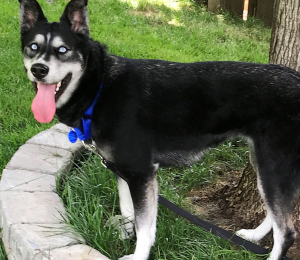 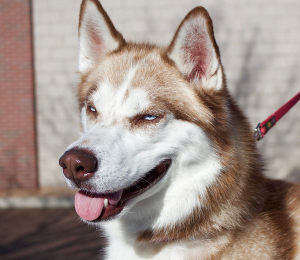 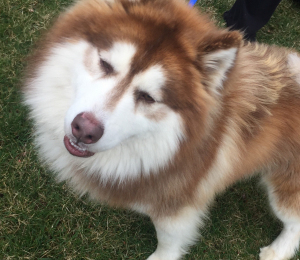 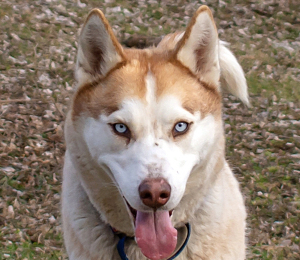 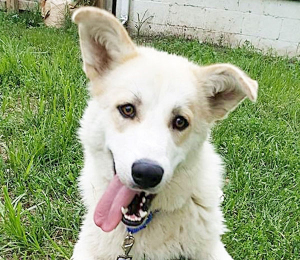 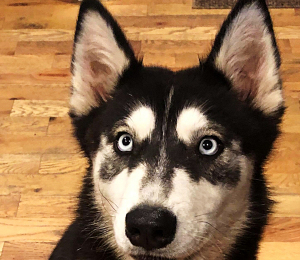 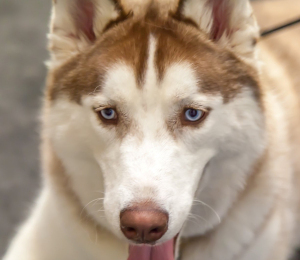 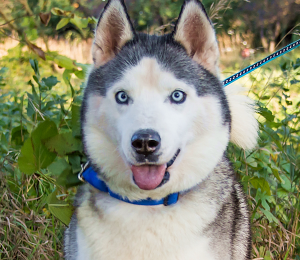 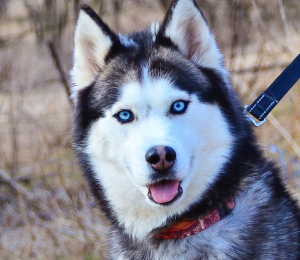 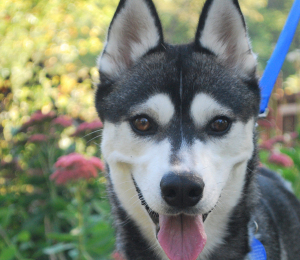 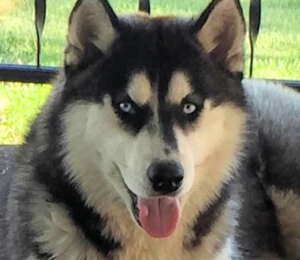 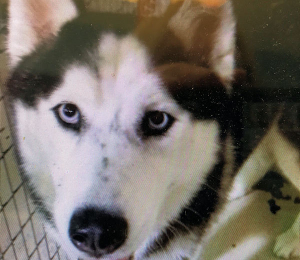 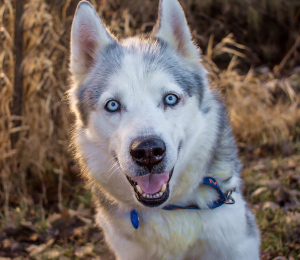 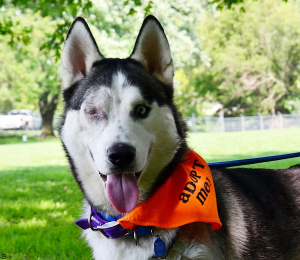 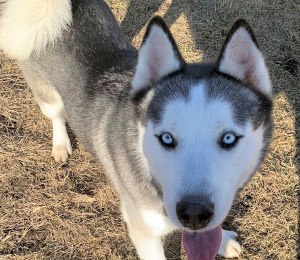 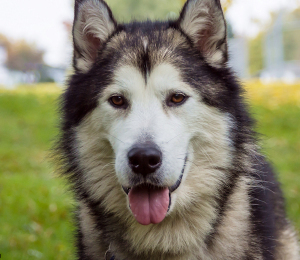 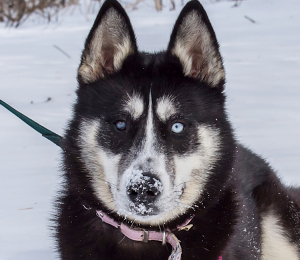 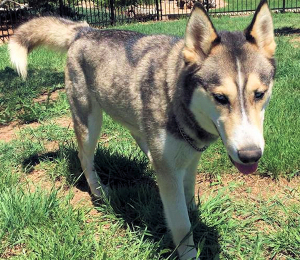 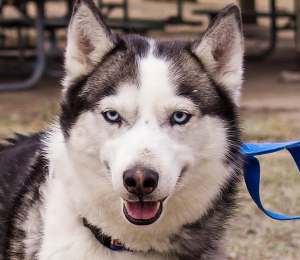 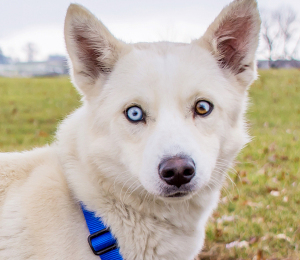 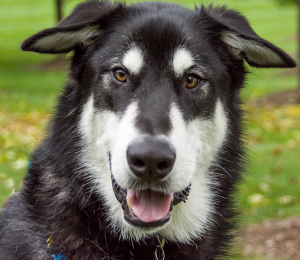 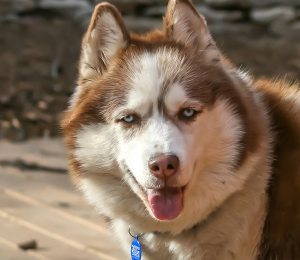 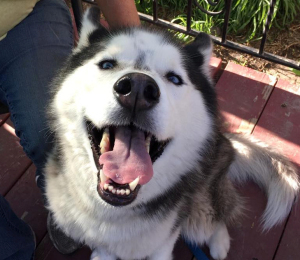 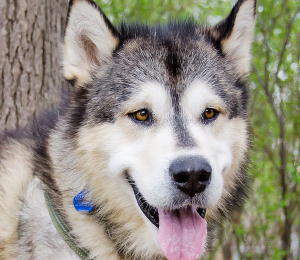 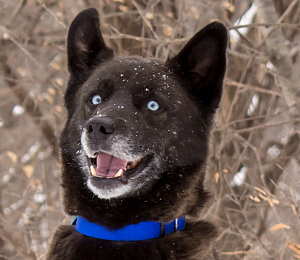 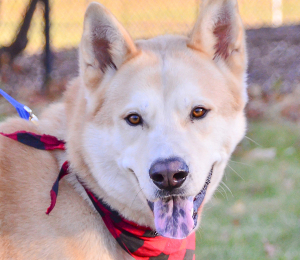 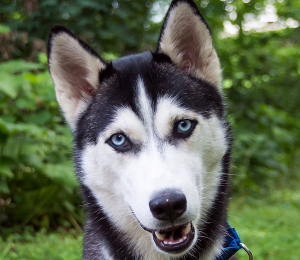 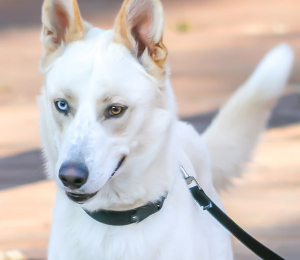 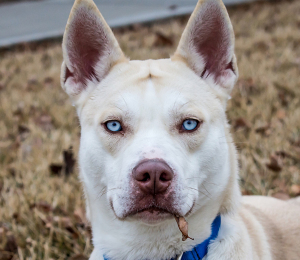 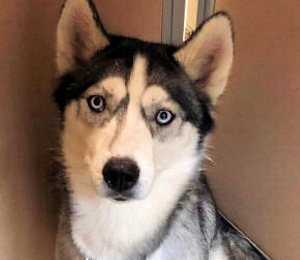 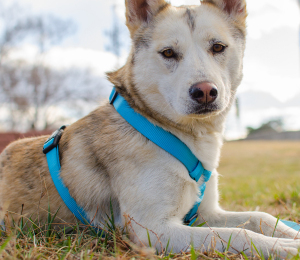 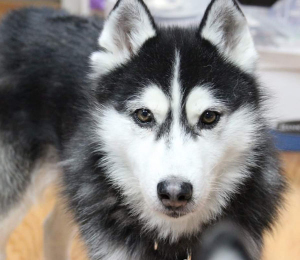 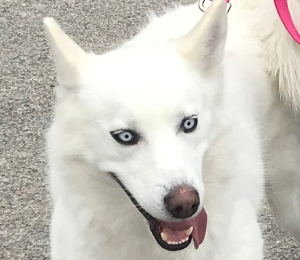 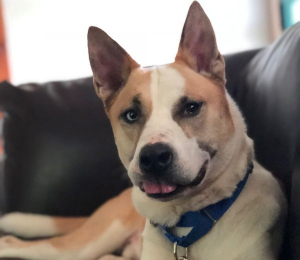 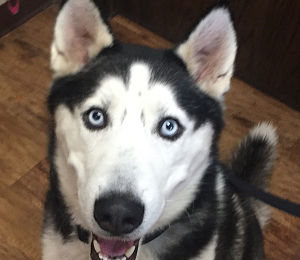 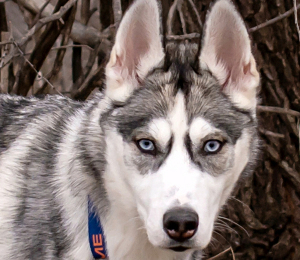 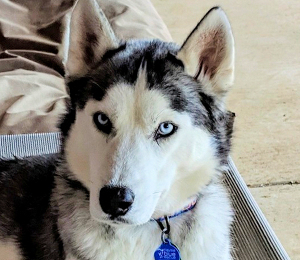 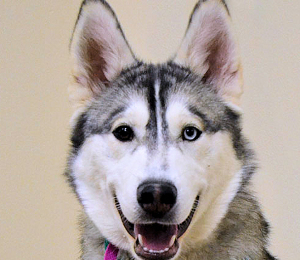 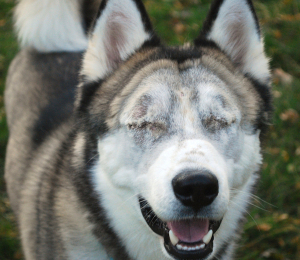 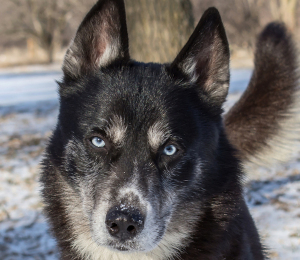 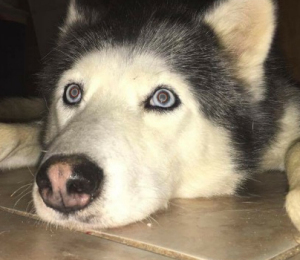 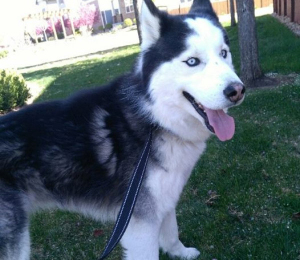 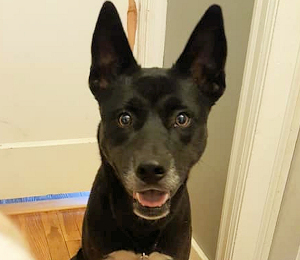 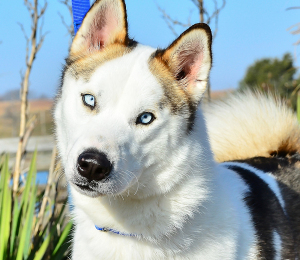 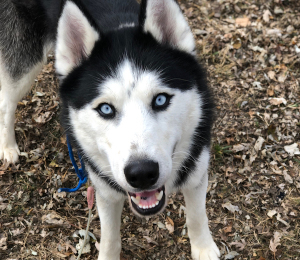 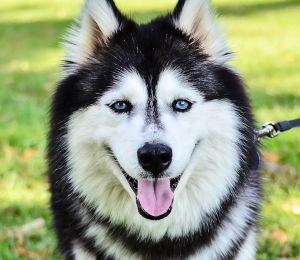 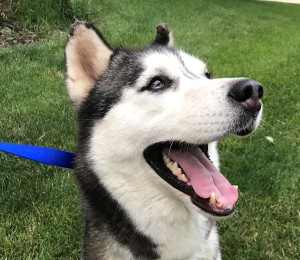 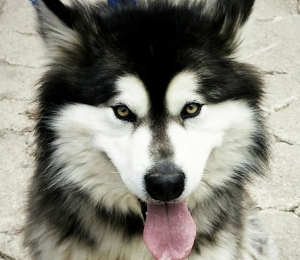 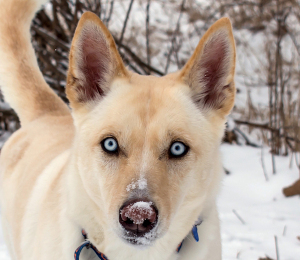 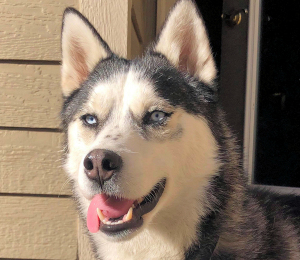 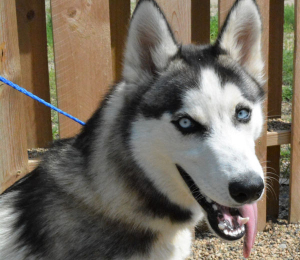 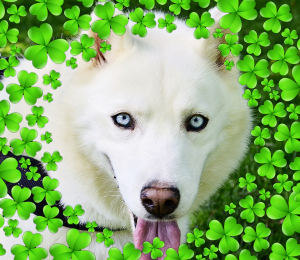 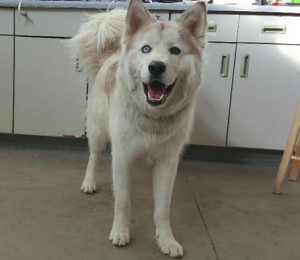 She is an eight year old female husky who would love a quiet home with someone who has the patience to allow her to warm up and come out of her shell. 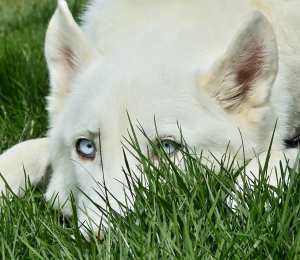 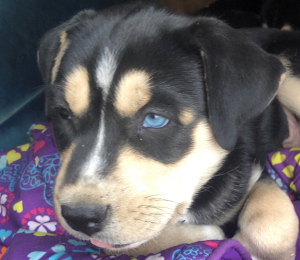 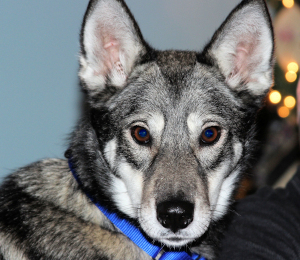 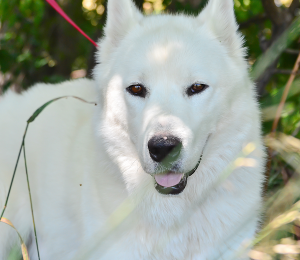 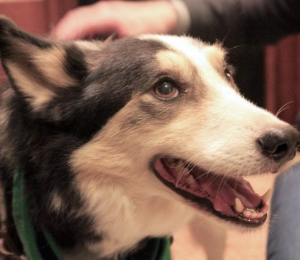 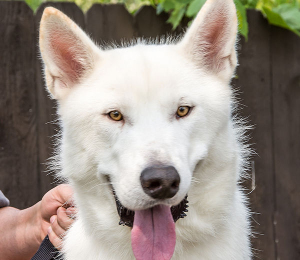 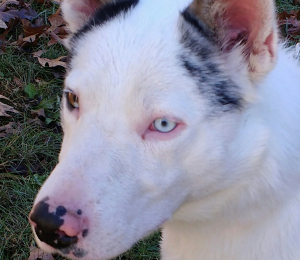 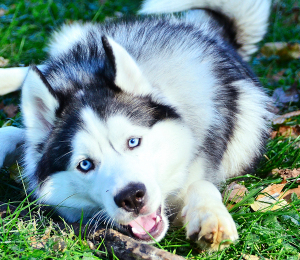 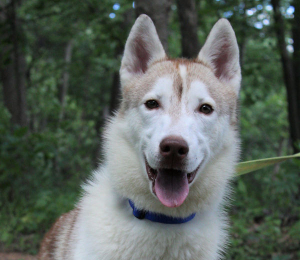 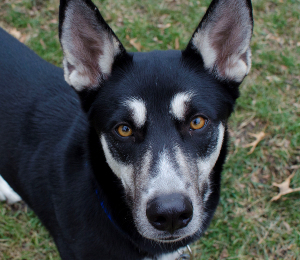 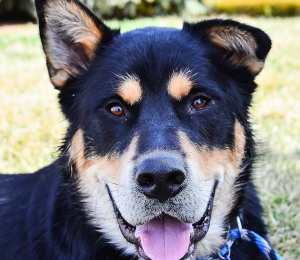 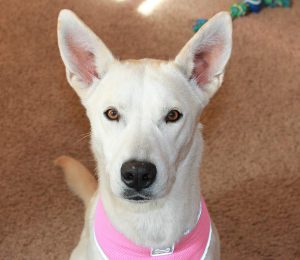 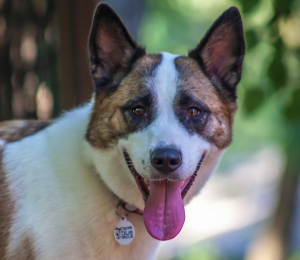 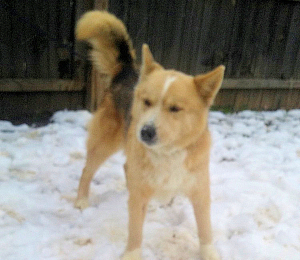 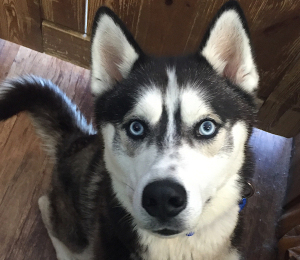 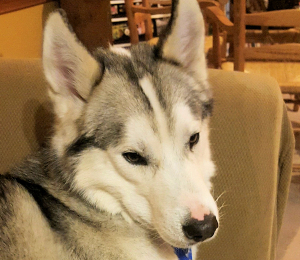 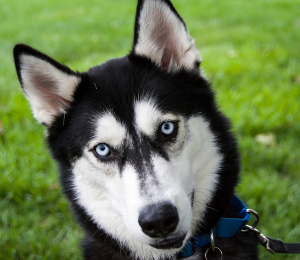 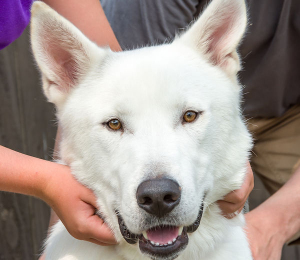 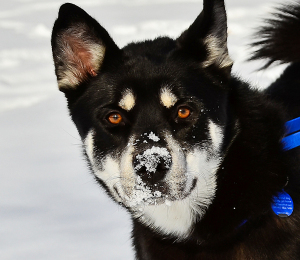 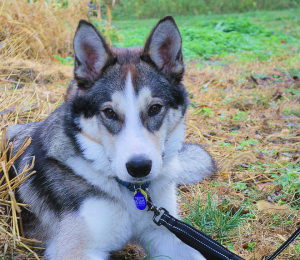 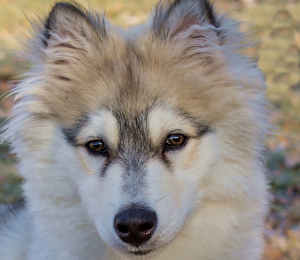 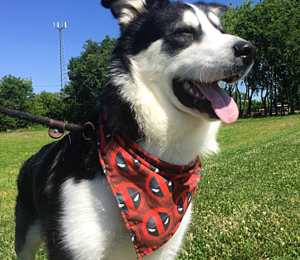 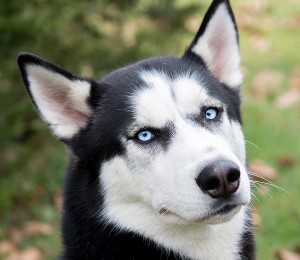 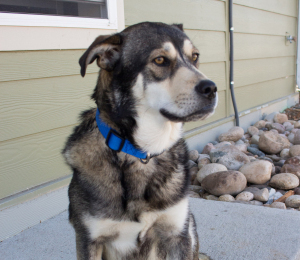 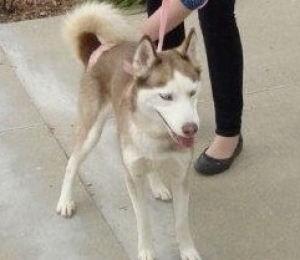 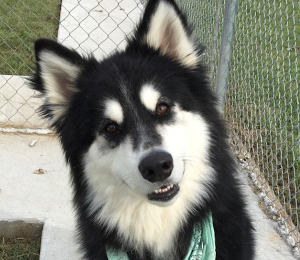 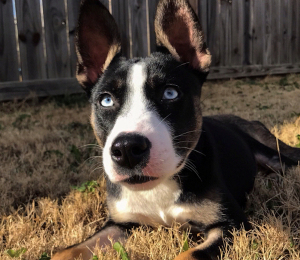 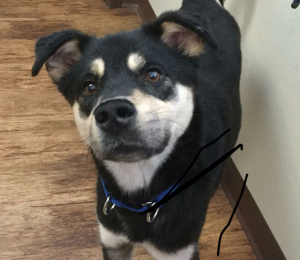 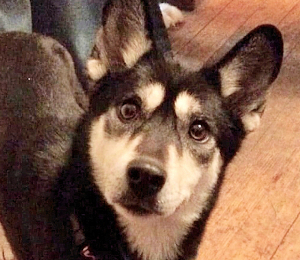 Balto is extremely shy and is very afraid of men, net situations and new people. 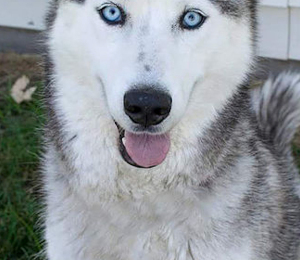 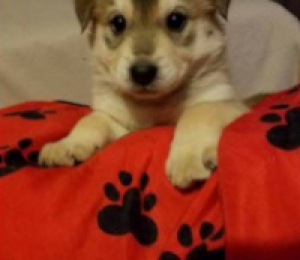 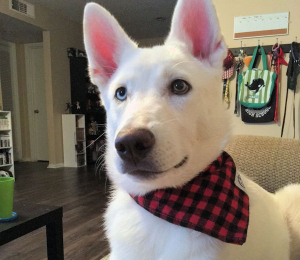 She would do best in a home with a female for her to bond with. 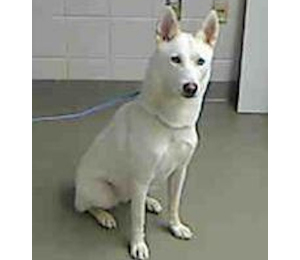 She would not do well in a home with small children. 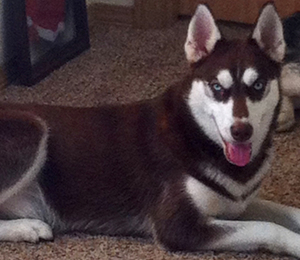 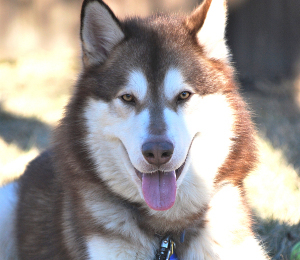 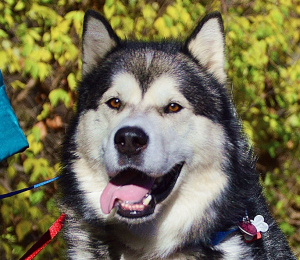 Weight: Balto is 44 lbs.